Miami-based auction house Platinum Luxury Auctions has posted top-of-market sales in its two most recent real estate auctions, according to the firm. 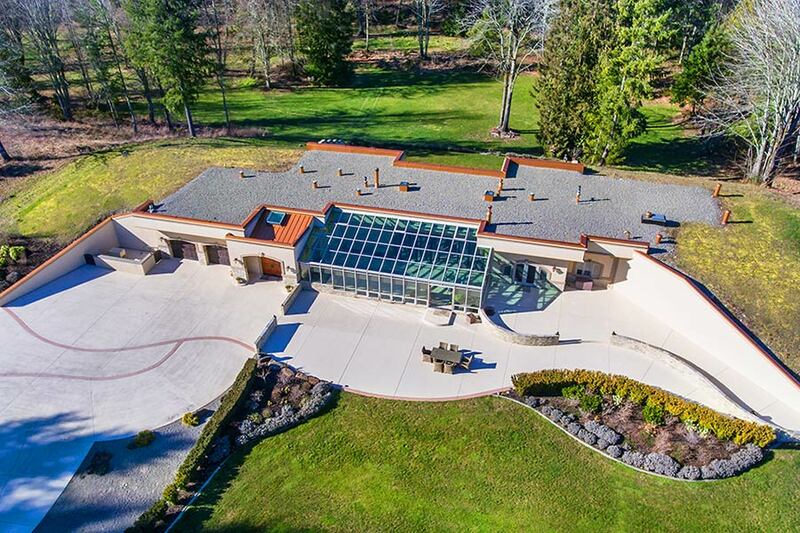 On April 5th, Platinum sold a unique equestrian estate in Yelm, Washington for the highest price year-to-date in the city of Yelm. The following week, on April 13th, it sold an oceanside estate in Cabo San Lucas, Mexico, at a price that is the highest in the oceanfront community of Pedregal within at least the past 14 months. The price of each sale will not be reported until the transactions close. Both auction sales were held “live” and in real-time on the respective property sites. “We have not yet completed running the data, but given our preliminary analyses and the information gathered from our cooperating brokerage partners in each transaction, the sales are likely to hold their top-of-market or near-top-of-market position well into the balance of 2019,” reported David Ashcroft, Platinum’s Managing Director. As an example, Mr. Ashcroft noted that prior to Platinum’s Cabo auction on Saturday, the highest sale price within the Pedregal community during the past 14 months was only $1.4m – despite the community having many properties for sale priced at 5 to 10 times that amount. He stated the auction price is “far above” that once-leading sale. Platinum conducted the Yelm auction in cooperation with listing agents Cindy Shorno and Charla Oliver, who represented Yelm Real Estate and Engel & Völkers Seattle Downtown, respectively, in the sale. In Cabo San Lucas, the auction house teamed with Snell Real Estate – also an Engel & Völkers affiliate – represented by listing agent Cindy Stanford. Platinum and Snell have an existing business relationship centered around Platinum’s luxury auction services. Located less than 45 minutes from both Tacoma and Olympia, WA, the Yelm property was affectionately named Trinity Farm by its owners. Six bidders gathered on site for the auction, with the winning bidder being described as an equestrian enthusiast from the Seattle metro area. The property features an impressive horse training facility with an indoor riding arena, a hot-walking exerciser, several paddocks and extensive bridle trails. Its unique residential quarters feature an “earth-sheltered” design (that is, the structure is built partially into the ground, providing energy efficiency and added structural integrity). 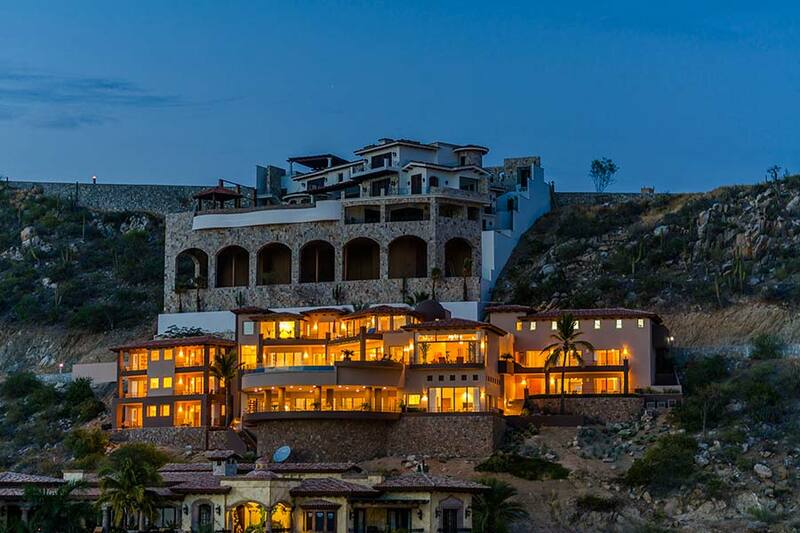 The following week in Cabo San Lucas, the seaside town in the southern portion of Mexico’s California Baja Sur, Platinum held an auction for the Villa Los Amigos, a +11,000-sf estate with beautiful views of the Pacific Ocean and Mexico’s striking sunsets. The tri-level residence offers an infinity-edge pool and boasts commercial-grade construction. The villa had been searching for a buyer for more than 5 years before the successful auction sale, which garnered an audience of 3 on-site bidders. “Smaller-audience auctions can still deliver excellent results. It’s very much a quality-over-quantity situation,” Ashcroft noted. Platinum reported that the marketing campaign for the oceanside home generated more than 43,340 global pageviews to the property’s webpage, in addition to 62 formal purchase inquiries during a 6-week marketing period that proceeded the auction. The purchasers of the property are a husband and wife from California, who were actively seeking a new home in Cabo. “They had a lot of options in this market, and the luxury auction was the tool that finally focused their attention on this particular property,” Ashcroft stated. Platinum now heads into a new cycle of luxury auctions throughout the rest of the United States. The firm has already scheduled the sale of fine properties in Ligonier, PA, Manhattan, NY, Woodstock, NY, Far Hills, NJ and Santa Fe, NM during May and June. Earlier this year, Platinum posted significant sales in the Ligonier and Santa Fe markets ($3.74 million and $6.2 million, respectively). Additional details on these recent and upcoming luxury auctions may be found at PlatinumLuxuryAuctions.com, or by contacting a Platinum representative at 800.262.5132. A multimillion-dollar estate in Mexico’s California Baja Sur that was once asking $10 million will now be sold at a live auction without reserve on Saturday, April 13th. Miami-based real estate auction house Platinum Luxury Auctions is managing the auction sale of the property in cooperation with Snell Real Estate, an Engel & Völkers affiliate serving as the listing brokerage of record. Sales associate Cindy Stanford is representing Snell in the transaction. Bidders who wish to participate in the sale must register with Platinum by a deadline of 5pm PT on Thursday, April 11th. 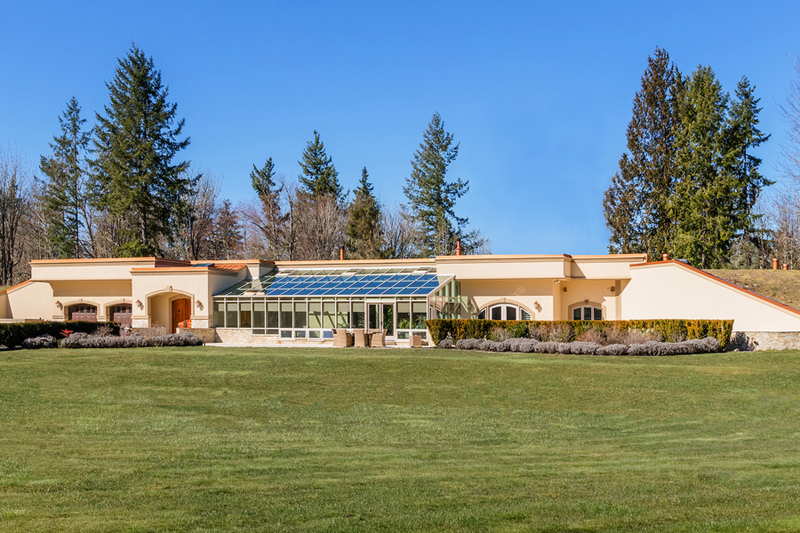 Luxury real estate auction firm Platinum Luxury Auctions is preparing for the upcoming sale of a unique, equestrian estate located just south of Seattle, Washington. The 40-acre property, affectionately known as Trinity Farm, is about one hour south of the Emerald City, and less than 45 minutes from both Tacoma and Olympia. Although previously asking $5 million, the property will now be sold at a live auction without reserve, meaning it will sell to the highest bidder regardless of the high bid price. The auction will be held this Friday, April 5th at 2pm PT on the property site. Those who wish to attend and participate in the auction must register with Platinum prior to 5pm PT on Thursday, April 4th. Remote bidding via telephone is also available for those bidders who cannot attend in person. Platinum, a Miami-based auction house specializing in the sale of multimillion-dollar properties on behalf of their wealthy owners, is conducting the transaction in cooperation with listing agents Cindy Shorno and Charla Oliver, who are representing Yelm Real Estate and Engel & Völkers Seattle Downtown, respectively, in the sale. Trinity Farm offers a host of impressive amenities working in concert to provide a unique living experience. Developed with the owners’ equestrian interests in mind, the property features an impressive horse training facility, the centerpiece of which is an indoor riding arena measuring 70-ft by 204-ft. The arena features Attwood composite footing, which is prized for its extremely low maintenance, and is the footing often used in the Olympic games. The arena is ideal for dressage, hunter/jumper or other horse disciplines. Adjacent to the arena is a hot-walking exerciser, several paddocks and extensive bridle trails. The grounds also offer several greenhouses, raised garden beds and even a private helipad. The property’s main residence is built to commercial-grade standards. Constructed largely of concrete and featuring floor-to-ceiling sliding glass doors, the home spans 5,700 sf and offers 5 bedrooms and 3.5 baths. The structure is also “earth-sheltered” – or built partially into the ground – which provides energy efficiency and added structural integrity. Common living areas are spacious, and include an open-concept kitchen and living room with fireplace. The indoor pool and spa – enclosed in glass – naturally regulate temperature via “smart” windows and shades. Other unique features include an extensive camera/security system, “safe room,” multiple generators and a spectacular children’s treehouse designed by Michael Murphy of HGTV’s Tree House Guys. Those interested in the property can learn more by visiting WashingtonLuxuryAuction.com, or by contacting a Platinum representative at 800.871.9269. Final previews of the property will be held each day this week between the hours of 11am and 4pm PT, until the auction date.